PESHAWAR, Oct 3 (APP): The Khyber Pakhtunkhwa Governor Engr. 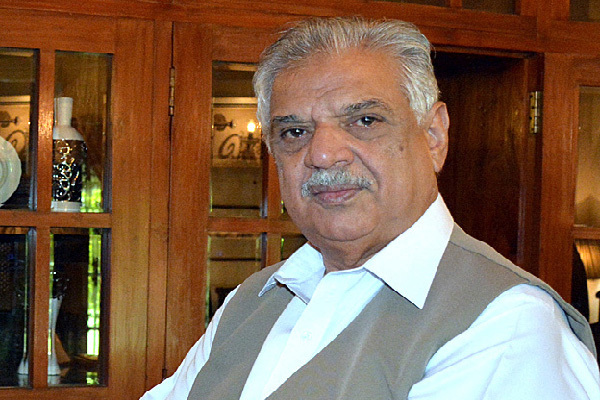 Iqbal Zafar Jhagra said on Monday that the local body elections would be conducted in 2017 in Federally Administered Tribal Areas and FCR will soon be abolished from the tribal areas. He told that as a result of FATA reforms FCR will also be abolished and people would get a sigh of relief. The Governor said that patriotic tribesmen had rendered great sacrifices for the peace of entire region and now the time has come to take potential measures to resolve their problems and work for their welfare. He said steps are being taken for the maintenance of the lasting peace and all out efforts are being made for the development of FATA and to ensure the dignified return and rehabilitation of tribal people. Meanwhile, the Vice President of Sindh Bank, Peshawar Shahroom Khan also called on the Governor and discussed matters of mutual interest.